Flowers are appox 4"W x 4-3/4". Never forget the sacrifices of fallen heroes and veterans. 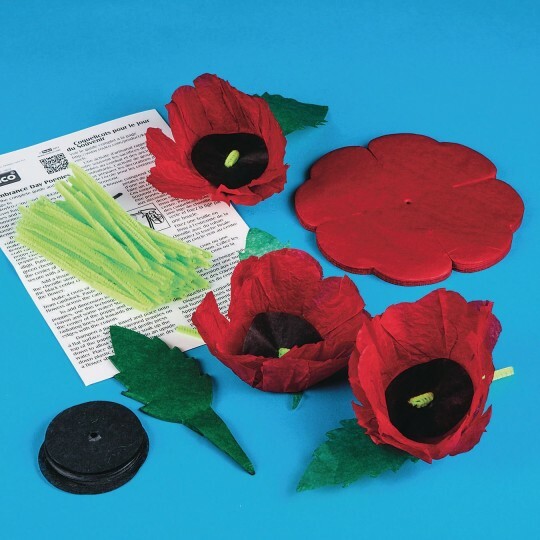 Includes tissue poppies, chenille stems and a Teacher's Guide. Flowers are appox. 4"W x 4-3/4". 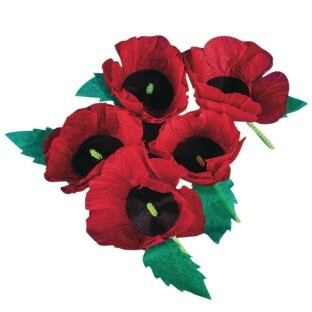 The larger size is perfect for a centerpiece or decorative wreath. These were not easy to put together and do not come out looking like the photo. 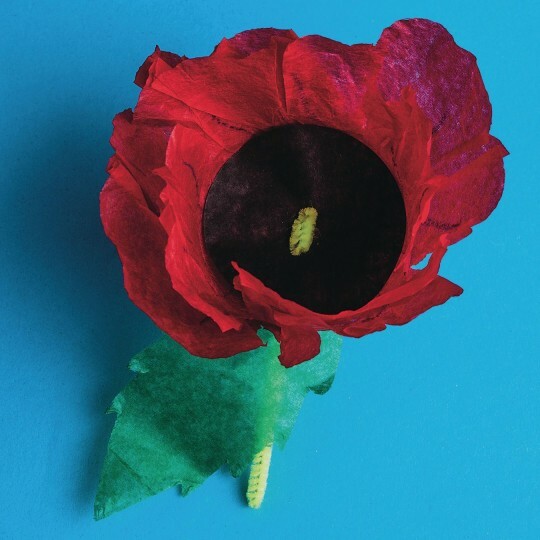 They are over sized poppy flowers. I intended I giving these to our veterans on Memorial Day but they look pathetic. Simply too big for my need.